In a risky move, Foursquare is breaking itself apart. The app is spinning its defining feature, check-ins, off into a new app called Swarm to focus on what it really wants to do: compete with Yelp. What will Foursquare look like without check-ins? CEO Dennis Crowley told The Verge the revamped app will use all of the location data it’s collected over the last five years to sense where you are and offer up recommendations and tips. If you wander to a new neighborhood, Foursquare will tell you the best bars in the area or most popular restaurants. If you go to a lot of burger spots, Foursquare will remember that info and alert you when you pass a place to get your fix. Foursquare is taking its recommendation engine, first launched last year, to the next level. Foursquare has been working on its recommendation engine for quite some time, but didn’t have the data it needed or smartphones capable enough to handle its ambitious—and constantly running—geolocation technology. The company also had to deal with check-ins, the 5 billion location data points that helped Foursquare build its geolocation tech. When users open the app, they are asked to check in. They can’t just see where their friends are or get tips about cool places nearby, and so many people gave up on Foursquare altogether. Crowley and his team revamped the app last December to surface location-aware tips to your phone’s lock screen, so you didn’t even have to engage with Foursquare to see recommendations. The “unbundling” of Foursquare is a continuation of this strategy, one that Foursquare hopes will keep current users happy. They’ll still have check-in functionality and nearby friend-finder with Swarm, but Crowley is putting his real focus front and center in the new Foursquare app. It’s an approach that Facebook has also taken this year with a renewed push behind Messenger and the launch of social newsreader Paper. But will either Swarm or the new Foursquare appeal to mainstream users who haven’t exactly embraced geolocation apps or hyper-local recommendations? Other social networks are already trying to crack that code. Facebook tells you where your friends are and lets you check in, Instagram has become a de facto check-in service—because you can tag your photos with the place you photographed them—and Yelp is the recommendation giant that can already tell you where to go and what to eat. Crowley told The Verge that Foursquare is doing something new, something entirely different from those other services. But neither Swarm nor the updated Foursquare are available to download yet, so it remains to be seen if the company can pull off two apps. Swarm will be released for iOS and Android in the coming weeks, while the overhauled Foursquare is expected later this summer. 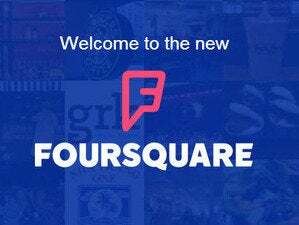 This story, "Foursquare pulls a Facebook with check-in spin-off Swarm" was originally published by TechHive.